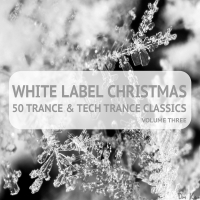 Various Artists	- White Label Christmas: 50 Trance and Tech Trance Classics, Vol. 3. Discover White Label returns with its bumper Christmas bundle 'White Label Christmas'. Featuring a massive 50 tracks from artists new and old, trance, tech trance, psy-trance and psy-tek all get featured with high energy tracks from John Askew, Jase Thirlwell, Channel Surfer, Rodas, Liam Wilson, Daniel Skyver, Oberon and many many more! The sounds defy the laws of conventionality, the artists defy the laws of conformity. Santa Claus really is coming to town this year! and its going to be a white christmas! Because this is the sound of white label trance - This is the sound of Discover White Label. 'White Label Christmas: 50 Trance and Tech Trance Classics, Vol. 3.' is available now from Beatport and iTunes.